The Deluxe Chicken Coop has a 3 compartment nesting box with a removable lid for easy egg collection. Internal Perches, comfortably housing 6 chickens. The door has a slide opening mechanism with a hook support and ramp. A rear door for easy access and a slide out floor for easy cleaning. The chicken coop is pressure treated in a natural timber finish. 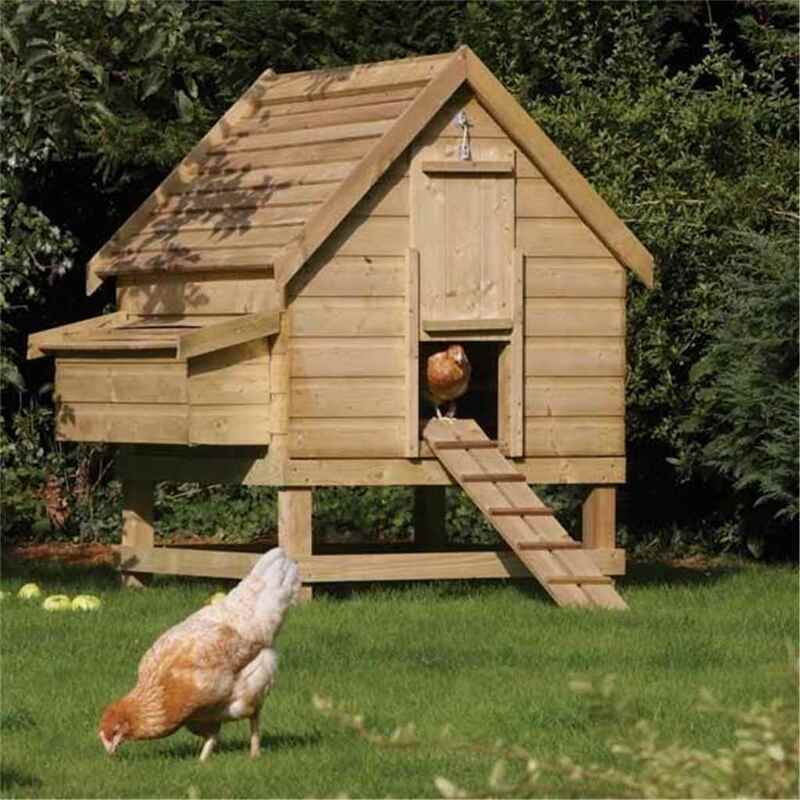 This model now also comes complete with a pull out tray under the hutch for ease of cleaning, a door to close the chickens in the hutch at night.